Podocytes are highly specialized epithelial cells that line the outside of the capillaries that form the glomerular tuft. 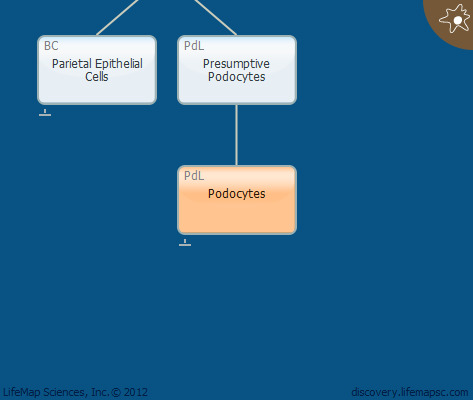 Under normal conditions podocytes do not proliferate beyond this stage. Foot processes: dynamic, actin-based cellular extensions of the podocytes that interdigitate and cover the glomerular basement membrane. Slit diaphragm: a specialized cell-cell junction formed between two adjacent podocyte foot processes that creates the pores of the glomerular filtration barrier.